In this episode I talk about week 7 of the stitch along (the last week of stitching the design), tell you how to back your hoop to hide your stitches at the back and share a kit of the week. 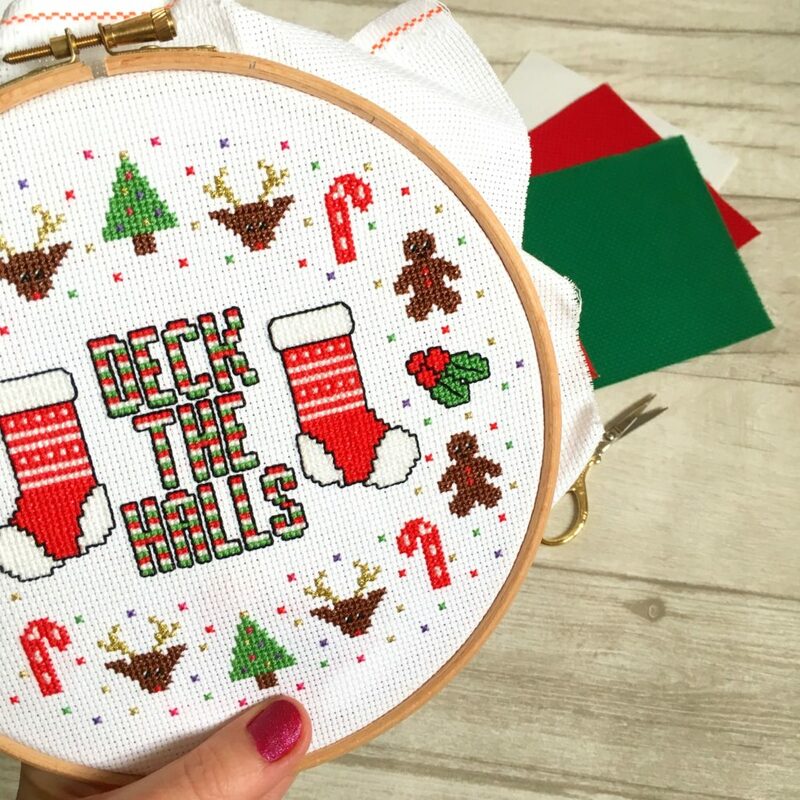 This week we are stitching the holly and the rest of the fairy lights on the design and it is the last week of actual cross stitching. If you are on track you should finish the front this week! So today in the podcast I’m talking about backing your hoop to get ready for next week. To back your hoop you need a piece of felt and using your inner hoop, draw around it so you have the perfect sized piece. Then pop your finished piece in the hoop, pull it taught and tighten the screw. Next snip off the corners of your aida and do a running stitch around the edge so it scrunches up at the back. Then, using a blanket stitch, stitch your piece of felt onto the back. 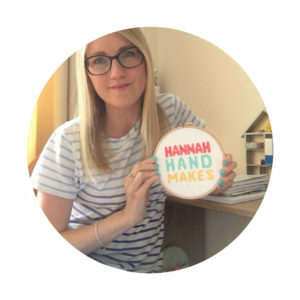 If you would like to see more instructions on how to back your hoop and do a running and blanket stitch then pop over to this blog post. This weeks pattern of the week is from Red Bear Design and is called Be Jolly. It has robins, baubles in and lovely, muted colours. If stitched on 14 count aida it measure around 5″ x 4.5″ and will fit in a 6 inch hoop. My Facebook group where you can come and join lots of crafty makers and share your projects. iTunes store where you can subscribe to the podcast so you never miss an episode.